Earlier this month I attended a soup making demonstration class at Whisk, a new locally-owned cookware & bakeware shop located in Cary’s Waverly Place shopping center. 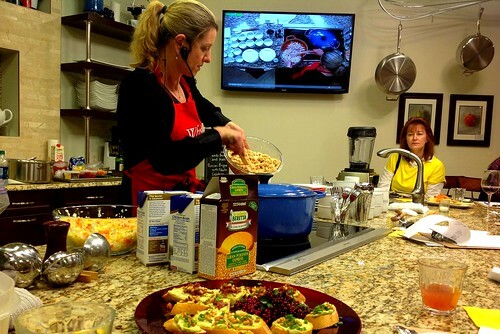 Whisk is more than just a retail store offering just about everything a home cook needs, they also host numerous cooking classes throughout the week. The classes offered include skill building, demonstration and hands-on participation style formats with trained professional instructors who have a passion for food and cooking. 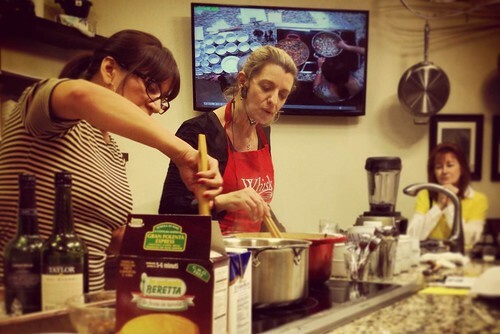 I was at Whisk to take a class to learn how to make soup. The cooking classes are held in a full sized kitchen located in the back of the store with students sitting right in on the action. There are several chairs located around the kitchen counter where the instructor works in addition to several high-top tables with director like chairs providing a nice view for students to watch. The class setting and interaction with the chef makes it feel like you are attending a fun and intimate cooking show complete with small cameras installed in the kitchen ceiling that capture the chef at work from multiple angles that is then displayed on a flat screen tv on the kitchen wall. This allows the entire class to see what is happening during each step no matter where you sit making sure you don’t miss a thing. The soups we learned to make in class were Porcini Bisque, Pasta Fagiole with Pancetta, and Italian sausage, White Bean, and Kale soup. The instructor took us through each step of adding the ingredients and provided helpful tips along the way. The classes are very social and interactive with the chef answering questions as they prepare the dish and inviting students up to the stove to help cook. It is a very comfortable learning environment and I felt like I was learning to cook from a friend while they worked in their home kitchen. Throughout the class students can sip on complimentary glasses of wine and enjoy light hors d’oeuvre. Of course once the soups were done we also had the chance to try each turning the evening into a fun tasting party as the class wrapped up. 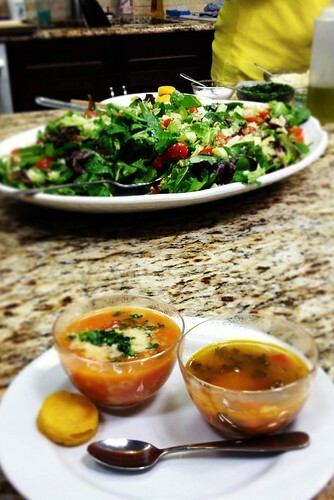 There was plenty of soup for the class to try and you could pour yourself a bowl, cup, or just a small sample. I wanted to try them all and enjoy some of the salad prepared to accompany the soups so I opted for the smaller sample serving. 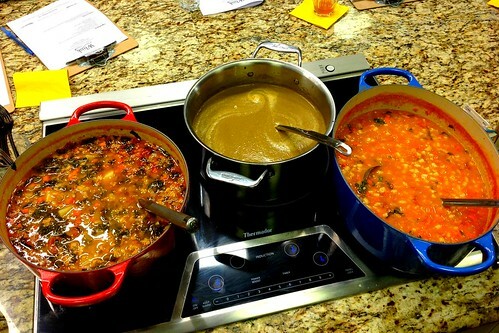 All three were excellent by my favorites were the Pasta Fagiole and the Italian Sausage, White Bean, and Kale Soup. I liked that the classes provide a printed handout that includes the recipe and cooking instructions making it easy for you to then go home and recreate what you learned. After the class ended I had a chance to browse the retail area of the store. 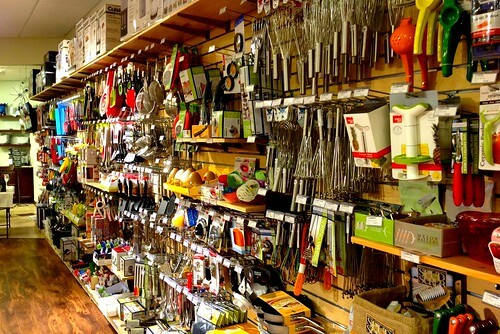 Whisk has diverse array of merchandise that covers everything from food preparation to presentation. For me the most important aspect of Whisk is that they have a friendly and knowledgeable staff that can help you find what you are looking for and explain how to use it. 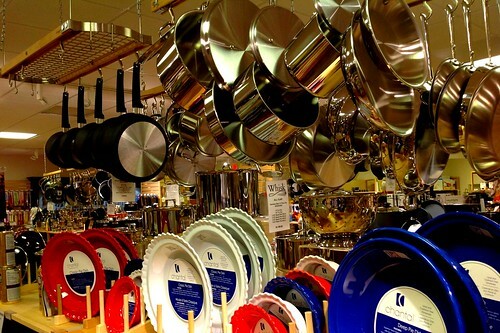 I enjoyed browsing all the fun go-to gadgets, and one-of-a kind items you can find at Whisk and I really liked that the items were competitively priced too. I found quite a few gift ideas. I was looking for a Christmas gift to get for my father. He recently installed a bar at my parents house and was excited to find Whisk had the “King Ice Cube Tray”. This specialty ice tray makes large square ice cubes prefect for the home bartender. I also noticed they had a nice lineup of coffee equipment and even sell locally roasted Muddy Dog Coffee beans. That will be my next purchase! 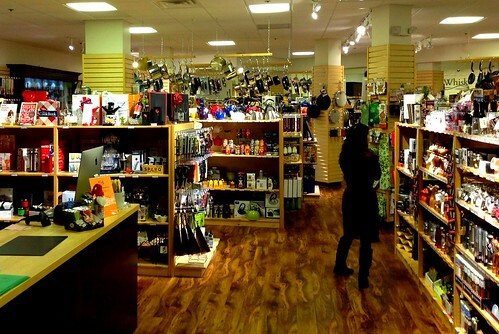 Dan Saklad along with his wife and business partner Diana, opened Whisk with the hopes it would be “a destination for cooks, foodies, chefs and gadget hounds in the Triangle.” I think they have succeeded in their goal. I encourage you to support this locally owned store and consider them the next time you need something for your home kitchen or a gift for a foodie friend. 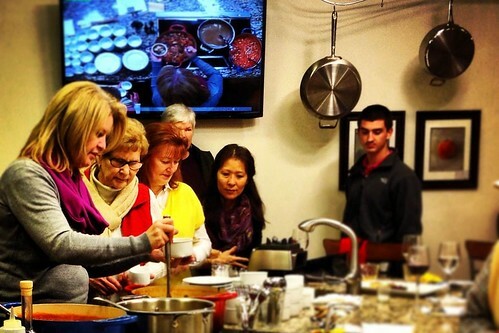 The cooking classes are a lot of fun and also make for great gifts too. 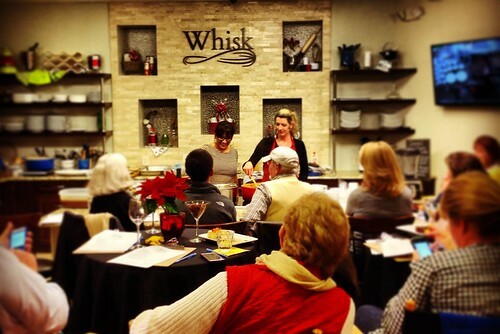 For more information about Whisk and to view their upcoming cooking class schedule, visit www.whiskcarolina.com.